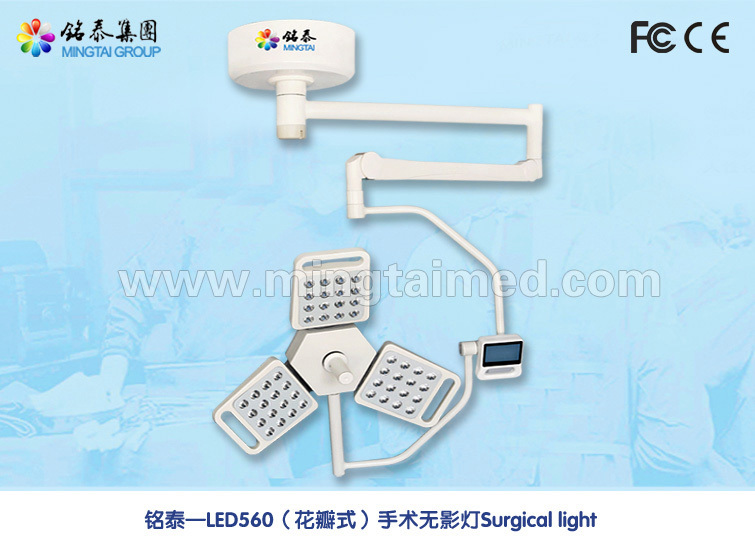 Mingtai LED560 petal model shadowless ot light is visible light, no infrared and ultraviolet, less heat, less temperature rising in the surgical field, average irradiance is 3.8mw/m2, advanced level in the world. 24% turbulence level is less than DIN1946`s rule. This model Shadowless Lamp illuminance is 130,000K. And the Operating Lamp is rounded curve and smooth surface, easy to clean. 40 times long lifetime halogen bulb, reaching 60,000 H, don`t need change bulb frequently. Looking for ideal Shadowless LED Ot Light Manufacturer & supplier ? We have a wide selection at great prices to help you get creative. All the CE Operating Light With Camera are quality guaranteed. We are China Origin Factory of Single Dome Surgical Light Camera. If you have any question, please feel free to contact us.